Something I'd like to say, if that's alright? 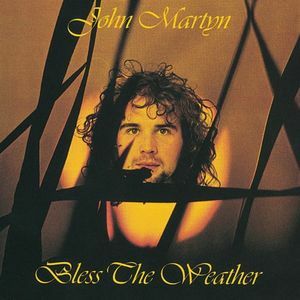 "Go Easy" is from John Martyn's 1971 album, Bless the Weather. Martyn is a Scottish folk guitarist/singer. This wonderful song became a showcase for Beck's vocals, as he began to perform it during some of his more lowkey gigs after Midnite Vultures. The lyrics listed here for Martyn's song seem to indicate that Beck was a little unclear on the words. The "Something for you / Something for me" lines Beck regularly used are not in Martyn's song, and he mixed the lyrics up a lot. The important thing is that what Beck does add to the song sounded just fine, and very much fit. The first performance of "Go Easy" was on September 28 2000. During this week, Beck did five short, acoustic gigs opening for Neil Young and "Go Easy" was played at the last three of them. The opening chords of "Go Easy" never fail to remind me of "Nobody's Fault But My Own." His band played it beautifully. The version of "Go Easy" on November 3 2000 on KCRW was a stunner. Beck was alone with just his guitar. The vocal melody of the song is dynamic and allowed Beck to hold long notes and go from low to high and generally just sound amazing. I miss the band behind him, myself, though this was on the radio, and therefore the sound quality is excellent, and thus a must-have version. Two years after having last played "Go Easy," Beck played the song on a radio/webcast in Ann Arbor on August 11 2002. He stopped into a studio, and played a number of songs and talked to an interviewer. It's a very emotional and great performance of the song.